SADKO Restaurant, St. Petersburg, Russia. Theatrical dinners. | Travel Blog & Co.
We appreciated this cosy place in St. Petersburg, after the Opera at Mariinsky. “Serving all the Russian favourites, this impressive restaurant’s décor applies traditional floral designs to a slick contemporary style. 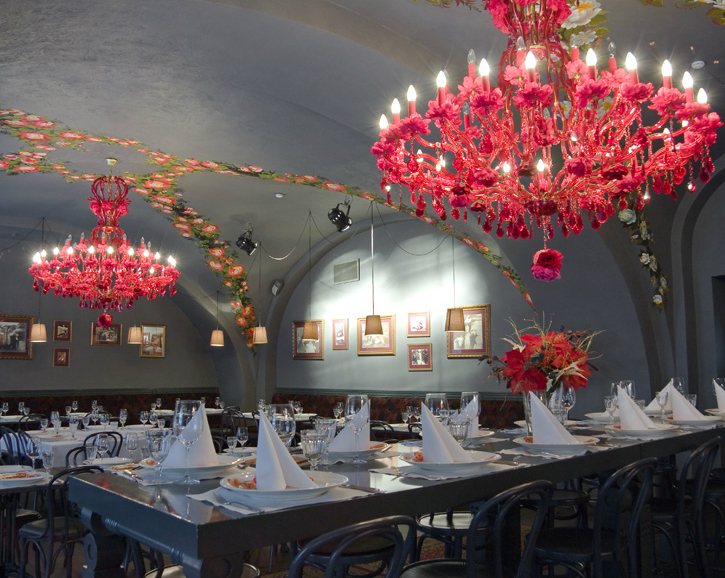 It has a great children’s room and is ideal as a pre– or post–Mariinsky Theatre dining option. They make their own piroggis (pies) and cranberry mors. The waiters, many of them music students at the local conservatory, give impromptu vocal performances” (LP). Check surprise: you’ll find it inside a matrioska. This entry was posted in Miscellaneous and tagged articles, blog, community, daily post, food, Mariinsky, postaday, restaurant, russia, st petersburg, theatre, travel by costanzafabbri. Bookmark the permalink.